Please remember to BOLD your vote if you type anything else in the post. Captain Jack Harkness was the name adopted by a con man from the 51st century who became an associate and occasional companion of the Doctor. He was reluctantly made immortal and stranded on Earth from the mid-19th to the early 21st century. During much of that time, he worked for Torchwood. 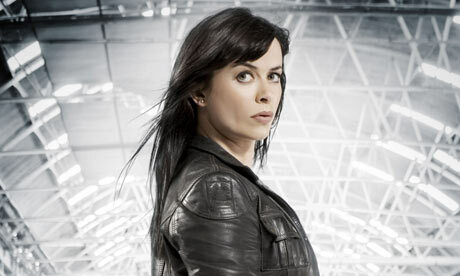 Gwen Elizabeth Cooper was a Cardiff Police Constable who was recruited by Torchwood Three, and eventually rose to second-in-command and, for a short while, commander of the unit. One day I shall come back. Yes, I shall come back. Until then, there must be no regrets, no tears, no anxieties. Just go forward in all your beliefs and prove to me that I am not mistaken in mine. "All of time and space; everything that ever happened or ever will…Where do you want to start?"